Some of you may know I'm (somewhat) obsessed with mobility in my jackets. Part of my journey led me to what I'm calling the 'half-raglan' sleeve since I don't know a better word for it- an armscye that goes all the way up or past the acromion process. 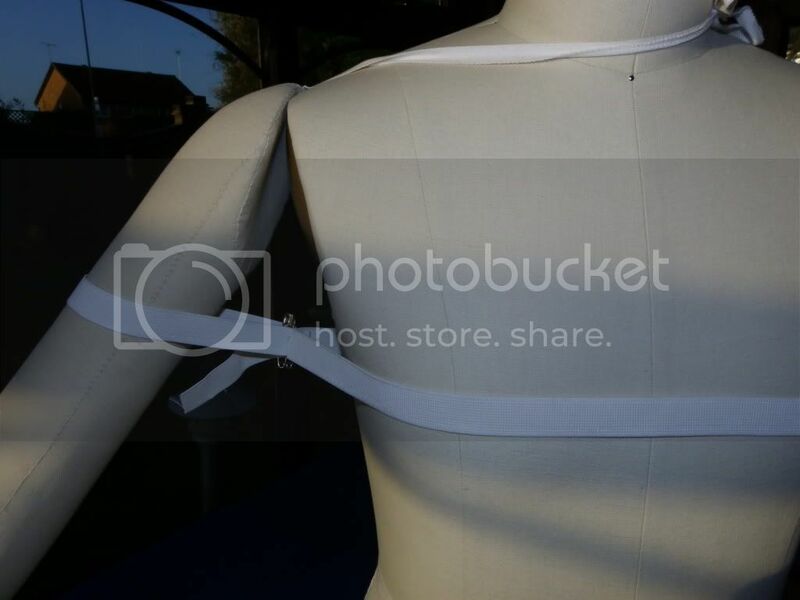 My theory is that such a sleeve more naturally follows the movements of the deltoid, without having a fixed armhole seam getting in the way of movement. 1. Am I actually witnessing greater mobility due to the half raglan or is it just because of the gusset I inserted? 2. Does the half raglan look too casual? 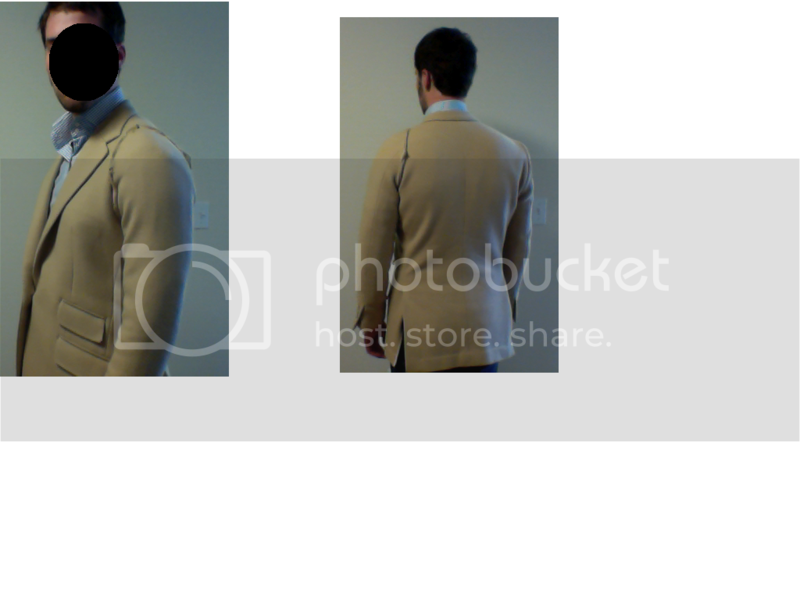 I'm hoping with a navy fabric and cleaner tailoring (mine is obviously messy), it will look OK as business wear? 3. If I ask my tailor to do these half-raglan shoulders, is there anything else he should do I'm not aware of ? I'm sure he's never done anything like this. Not sure what result you're hoping to get with this. If your tailor works with this he's either crazy or he's one of the very best tailors in the world. I mean top 50 worldwide, or something. Point is that a tailor should know what to do - which I guess he does. That also means he runs his cutting - not the customer. Personally, I'm happy to work with customers and look for the best realisation of their wishes. But if someone tells me how to cut, it's not likely that the cooperation will succeed, nor is there a good chance the garment will work out. Besides, you're looking for a unicorn. If you want all that movement, and the ability to flail your arms around, you need to start with a much smaller chest. And, while you might get the ease of movement, you won't get a nice sleeve, or a decent sleeve, or a sleeve that's even halfway passable. If you want all that movement, and the ability to flail your arms around, you need to start with a much smaller chest. What do you mean by smaller? I'm assuming that means closer-fitting? I'm wondering what the mechanical reason for that would be. Thanks for your input. What do you mean by smaller? I'm assuming that means closer-fitting? I'm wondering what the mechanical reason for that would be. The same reason as for needing high arm-holes, just in a different dimension. Svenn, have you asked yourself why you so "obsessed" with movement on a coat you wear at work? Do you work as a bouncer at a nightclub or something? Most tailors, unfortunately, are going to be obsessed with clean and immaculate fit and will have spent their working lives trying to achieve the opposite of your aim, which demands some sacrifice in appearance for movement especially in the sleeves. I fear that if you ever did find your Holy Grail of a perfectly mobile coat you would find yourself at the end of the Hitchhiker's Guide to the Galaxy with the meaning of life: "42". You will look at yourself in the mirror in the funny looking coat and realise it isn't wearable. 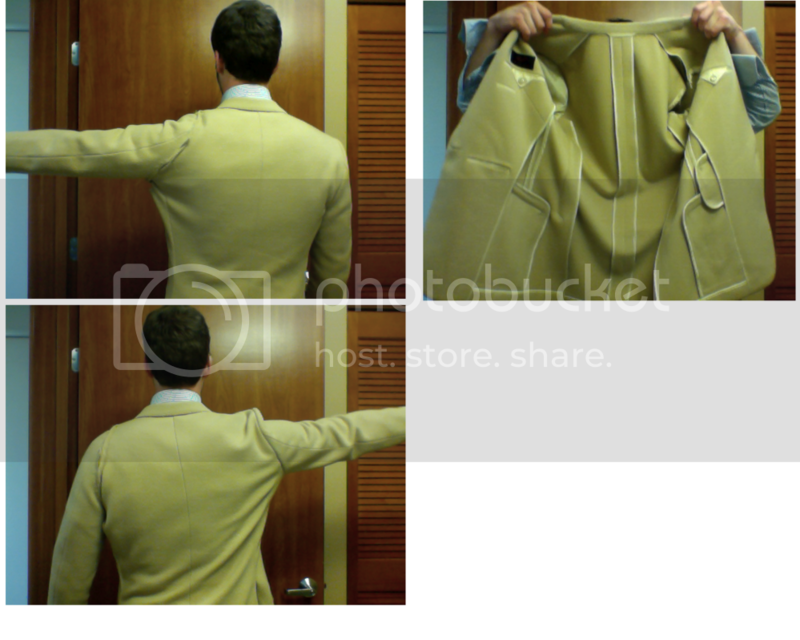 The coat would go to the back of the wardrobe and almost never be worn. To be honest, if I worked with you and spend countless hours trying different things (closer chest, fuller chest, different sleeves, pleats etc etc) until we got what you want, it might take years before we came close to achieving what you wanted fully. I personally wouldn't take you on because I doubt I would be able to please you ie I would be too concerned that no matter what I did you would find the coat pulled somewhere and it would be back to the drawing board. ^No I'm not a bouncer, though honestly my job feels equivalent to it on occasion My obsession is more of a fascination- I find the mechanics and challenge of creating a garment that can accommodate every complex human movement especially interesting. But don't get me wrong, I have several 'normal' jackets I to wear most of the time for work and I appreciate the traditional lounge coat and its construction. I won't be tearing up my SR jacket like I did with this one or start demanding obscure cuts and weird pleats from traditional tailors. This 'ultra mobile jacket' is more of a side project that my patient tailor in Thailand is willing to work on, and I take all responsibility for the trials and errors. Yes, I may reach an existential realization of the jacket's ultimate ugliness once I arrive at the goal, I admit that. Svenn, have you asked yourself why you so "obsessed" with movement on a coat you wear at work? For me, any blouse/coat/bodice-that-has-sleeves - cut so that it looks nice - restricts movement, even simply driving a car or typing at the keyboard. Reading here, I have come to the exact conclusion that was mentioned above - I cannot have both movement and a good-looking back. I also believe that in my case it is due to my figure (severely rounded back, very small chest, head very much forward, not to mention a hanging side) and not due to some sort of obsession. I do NOT imagine that the sleeve binds when I lift my arms to the driving wheel. The only 'obsession' I still harbour is to find a compromise between having a comfortable garment and having that garment look the best that can be worked out. Given the question above, don't worry, I will not bother the readers here with *my* quest! Can you work comfortably in a shirt,? if so whty don't you have your tailor cut a jacket the same as a shirt. Take a look at some of the ballroom dancers to see the result. Maximum movement, but ugly when the arms are down. Yep, closer fitting. The mechanical reasons are many, and usually require a five-year apprenticeship to really comprehend. 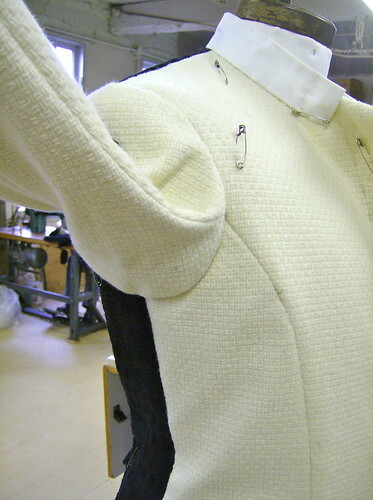 This half raglan you showed is done in ladies tailoring. 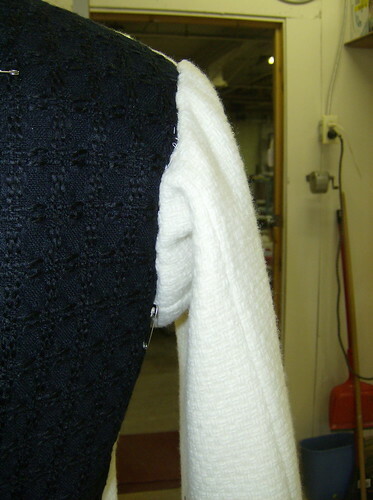 A raglan cut has other difficulties than a set-in sleeve because the shoulder is included in the sleeve pattern. The raglan sleeve easily twists when not cut correct. Okay, I'm going to attempt to explain what I have learned in the simplest form I know. I dont claim to be a leading authority on this, I am guessing that I have been asked to do it more than most other tailors. For what its worth the post on my blog about a gusset/dancer sleeve that pops up on styleforum every so often is hideous. It is/was a big aspect of the work I was doing and documented it. I hated producing that job, it was much too exaggerated but I was not the boss. 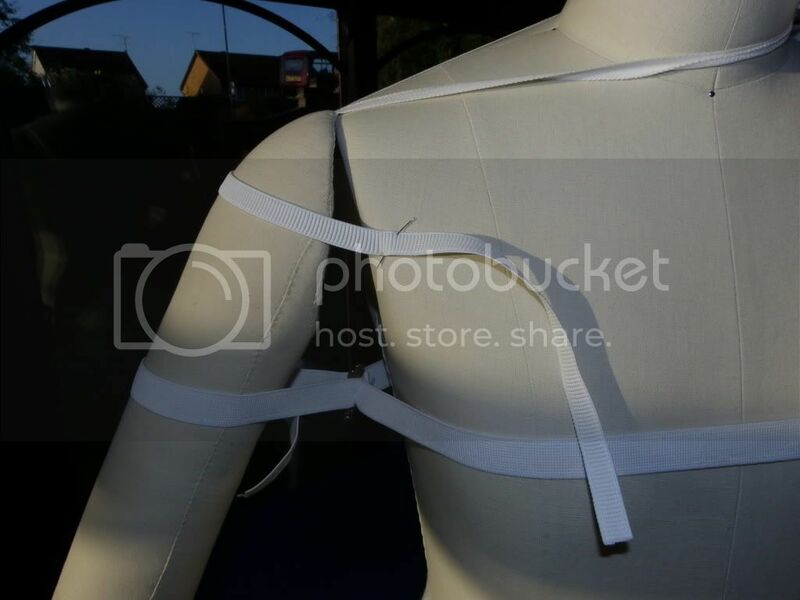 I worked with a cheap crappy RTW jacket with a low armhole and made a cheap crappy sleeve for a 3 minute routine on a dance show. Enough said. 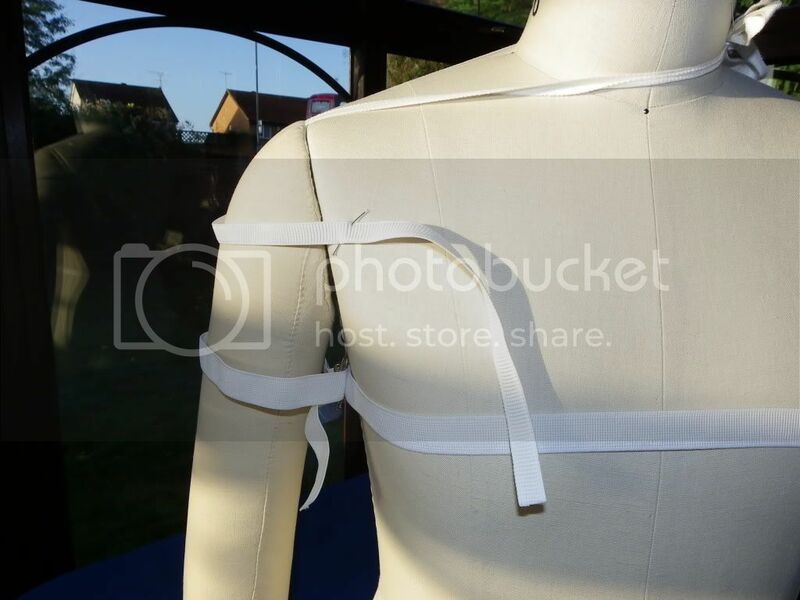 Elastic around the body represents a close fitting jacket at the standard RTW height for the purpose of this, The elastic around the sleeve - represents a 'standard' sleeve size. 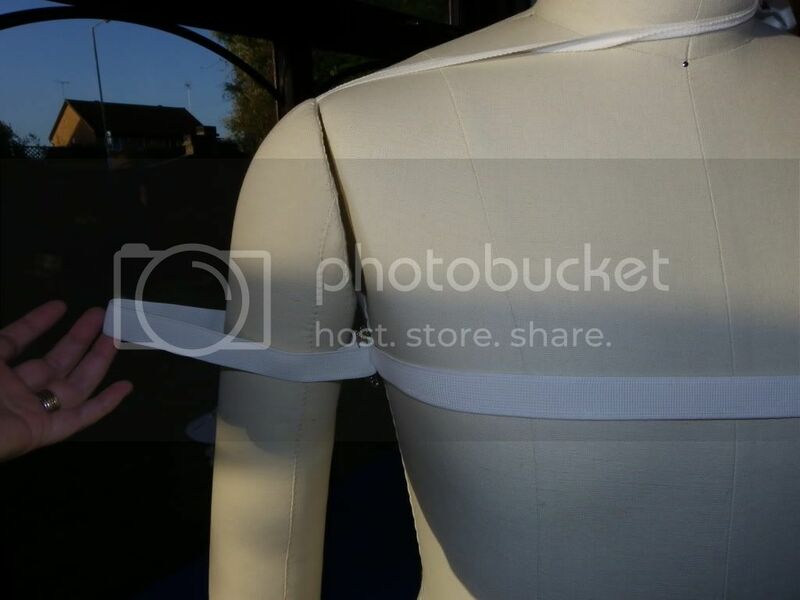 But that is only part of the problem, there is the head of the sleeve restriction too. So we will go back to the slimmer sleeve at the armhole height and concentrate on the sleeve head. The higher elastic represents the standard head size. 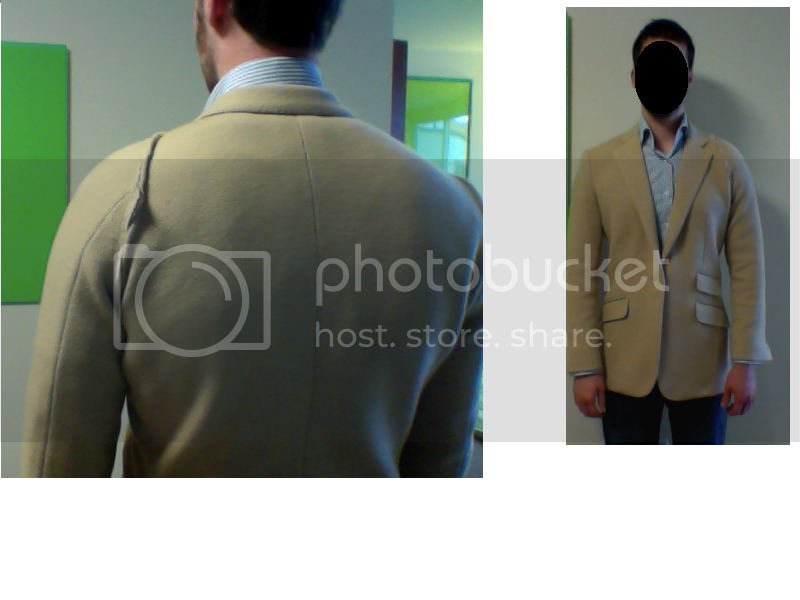 The larger head allows the jacket to ride up on to the shoulder further also. 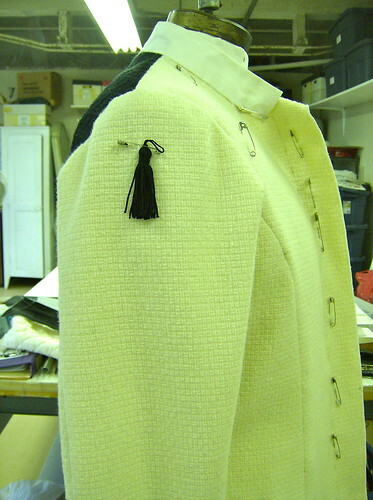 This extra added across the head will in turn dictate the extra added at the armhole height. Seriously though, who would want a sleeve head that wide? Yes, of course there are "in between" amounts and this is extreme. A tailor can cut a slimmer version witha high armhole but remember even the smaller amounts will turn a sleeve more and more ugly the more you add. A "gusset" in the way that I have talked about it on my blog is to add the distance under the armpit (AKA a dancers sleeve) when arms are raised so as not to draw the jacket up. This is only effective in conjunction with the rest of the movement I have talked about here. I would not recommend it to anyone in a purely fashion garment, IMHO it is something to only viewed at a distance and in movement, so you cannot tell how messy it is. As for what you and your tailor have produced, his armhole is both too low and the chest too wide as Martin said. 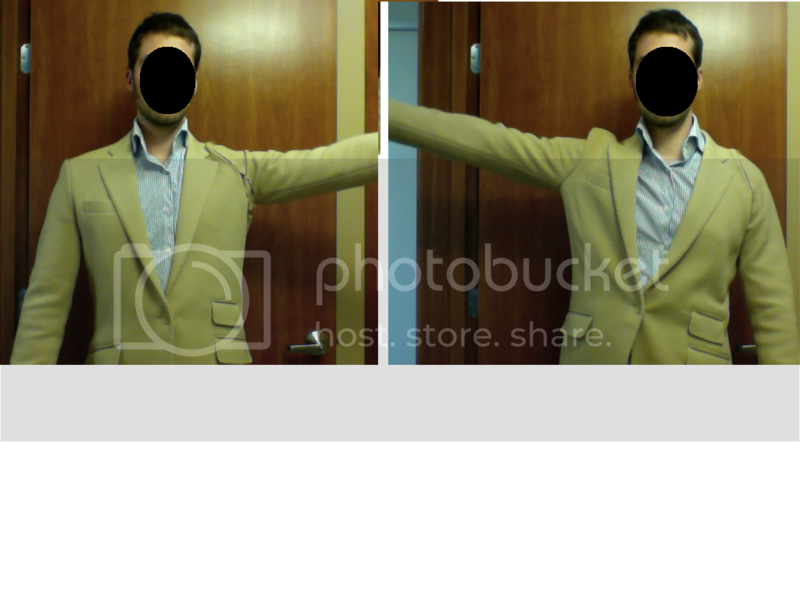 Look at your photos and see how far away the sleeve-body junction point at the underarm has pulled away from your body. 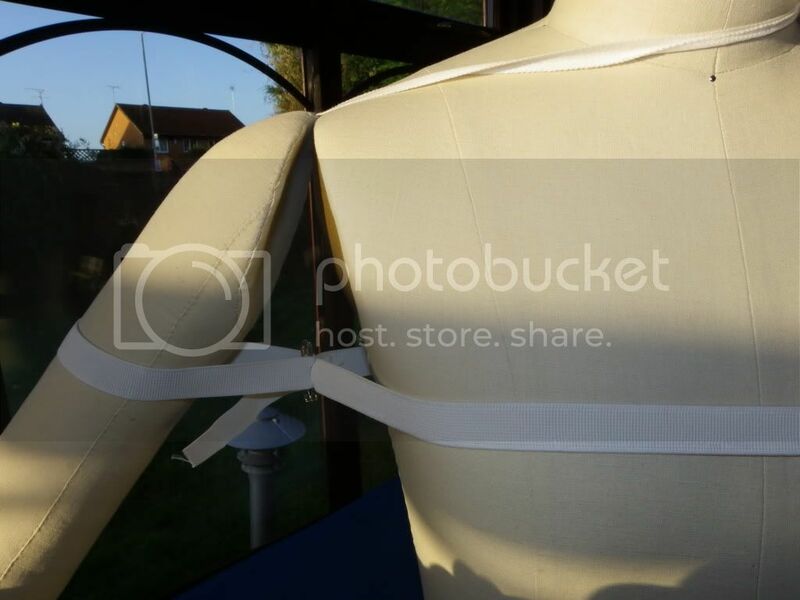 You have exhibit A, when you pulled your sleeve up onto your shoulder you have raised the armhole to where it should be. With your "half raglan" you have then produced Exhibit B but reduced the sleeve head width. I believe that the freedom you are experiencing is more that the armhole has been sufficiently raised than any change to the style of the head. Ok, I really didn't want to fan the fire but since Kerry has done such a great job demonstrating the issues regarding jackets, here are photos of a recent ballet sleeve with a grown on gusset. 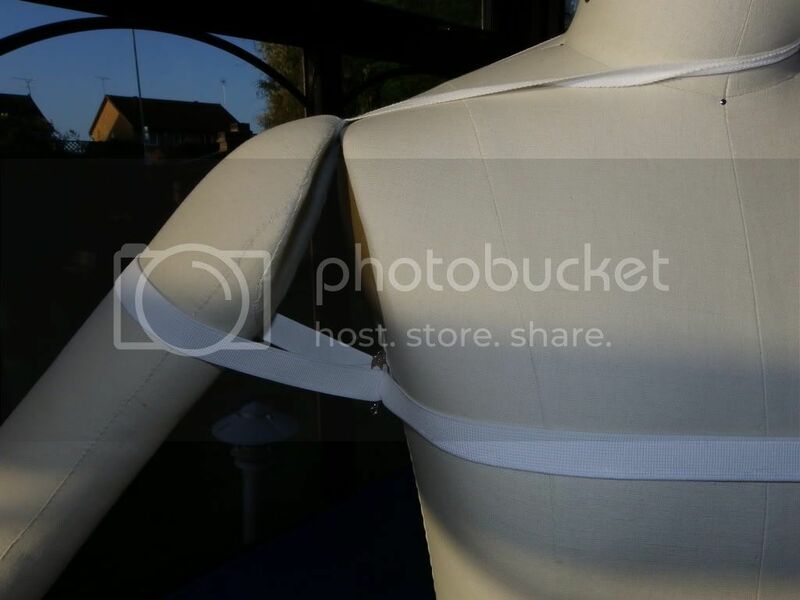 It works because this garment is cut close to the body- maybe 6 cm ease around in total and a high armhole, allowing much more movement of the arms. The fact remains, even with a big gusset, there will always be some (minimal) movement of the body up and down as the arms are raised. I have put similar gussets in jackets as well, it does work, but it isn't as clean as a regular sleeve. 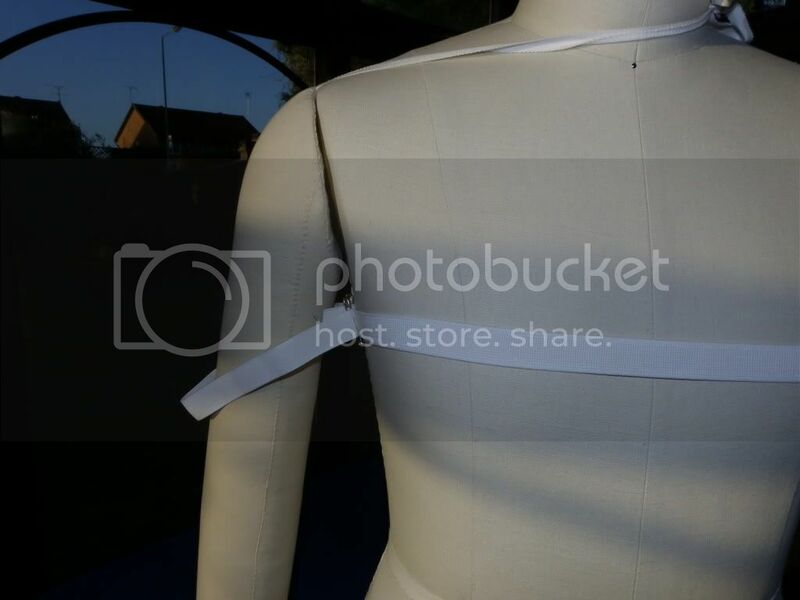 I have indicated to Svenn that this kind of thing is hardly what a regular "street tailor" would be accustomed to doing, and in that regard he is unlikely to get it and these kind of things are best done in while the coat is being built, and dealt with in person. I believe that the freedom you are experiencing is more that the armhole has been sufficiently raised than any change to the style of the head. I think you're right, the only advantage then I see of the raglan or half raglan, correct me if I'm wrong, is that it's slightly cleaner when the arm is raised, and maybe there is some residual ease with not having an armscye stretched in the middle of the action. Otherwise why would people for so many decades/centuries be making the raglan? There seems to be doubt that a grown-on gusset could be made tidy enough to look like a normal sleeve when at rest, but isn't it hypothetically possible to conceal all that extra ease effectively in the armpit without showing anywhere else on the sleevehead? No, if you start mucking about with a sleeve it turns into a mess, no matter what you do. 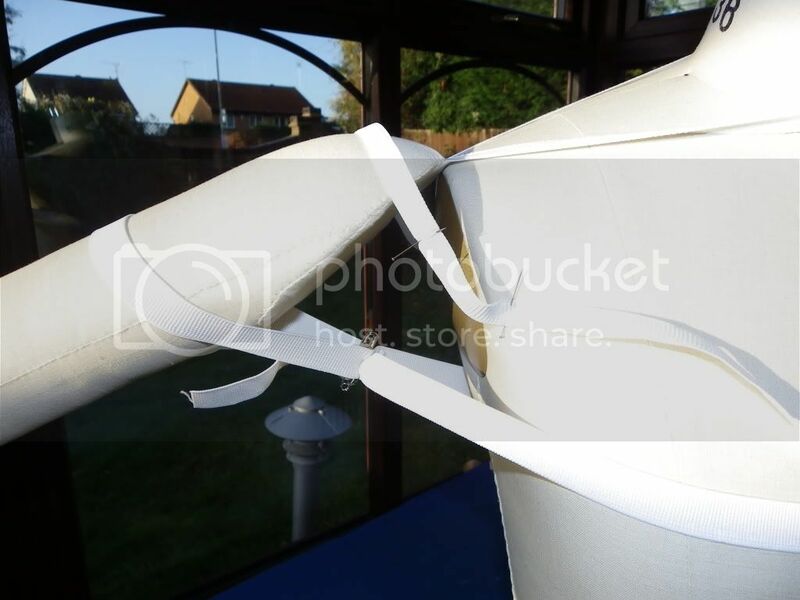 A sleeve really is a very tricky and exceedingly smart piece of engineering. That's why they can be so hard to set in right. Every little aspect of the armhole, the undersleeve and the crown, and the way it is hung in the armhole, it all needs to perfectly balanced an calibrated. Mess up one step, and it will show. And that's just for being sloppy at some point. If you're going into gussets and what not, it's a lost case, every single time. Guaranteed. As such, what you're doing is actually not really bespeaking a coat: it's engaging a friendly tailor into a hobby project. Not that there's anything wrong with it, but a wearable coat it will yield not. Hand me the wet noodle, Jason.